Welcome to our fantastic range of Outdoor LED Lighting! We have been working hard on selecting only the best lights for you to choose from. In this section you will find a wide range of outdoor wall lights, LED flood lights and garden Lights. Why Choose Our Outdoor Lighting Solutions? When it comes to outdoor LED lighting, outdoor garden lights are one of the most efficient types of lighting you can get to add extra brightness to your house exterior. Although LED lights are efficient, they do not compromise on performance. This is why so many people prefer them to regular forms of lighting. 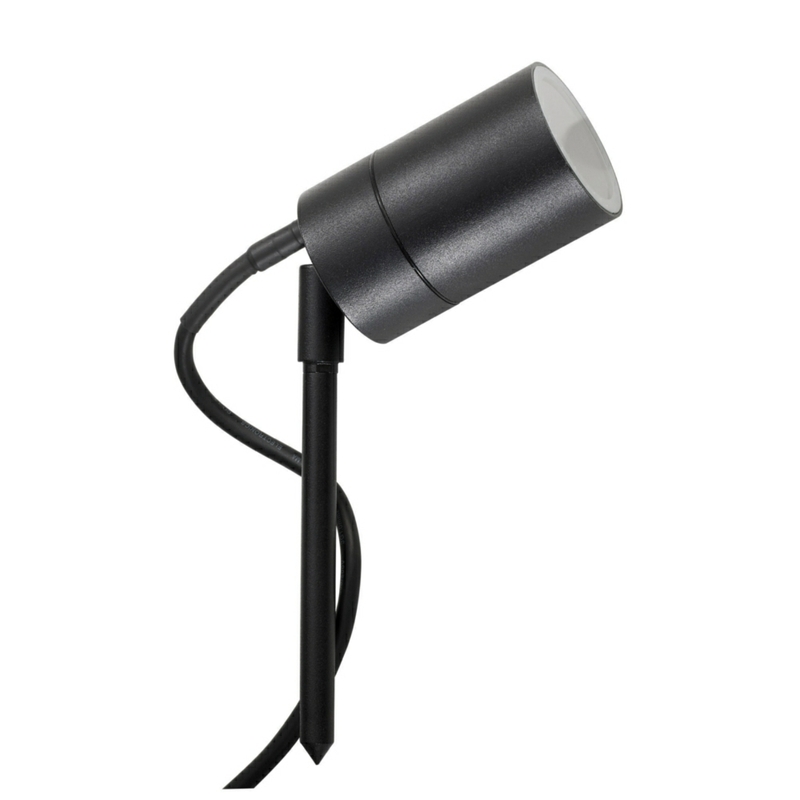 If you are considering illuminating the exterior of your home, we highly recommend any of our outdoor lighting range. If you have any questions regarding any of our outside lights or LED bulbs, don't hesitate to give us a call and we would be happy to assist you! Outdoor LED lighting can be used to improve security in the form of floodlights which can come with a PIR (passive infrared sensor) sensor such as the Kinver 12W Outdoor LED Floodlight and the more powerful Kinver 25W Outdoor LED Floodlight. The beauty of floodlights are the low cost involved in installing and maintaining over traditional floodlights. These are also known to not attract bugs to the light. As a bonus, an LED security light will give you peace of mind that any unwanted visitors will get a shine of light and you will get a warning. 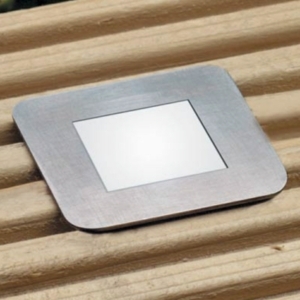 Perhaps the most popular choice when it comes to outdoor LED lighting is decking lighting. With more and more people looking to upgrade their homes rather than buy new, decking has never been so popular. What better way to enjoy your decking at night than with a beautiful lit patio? 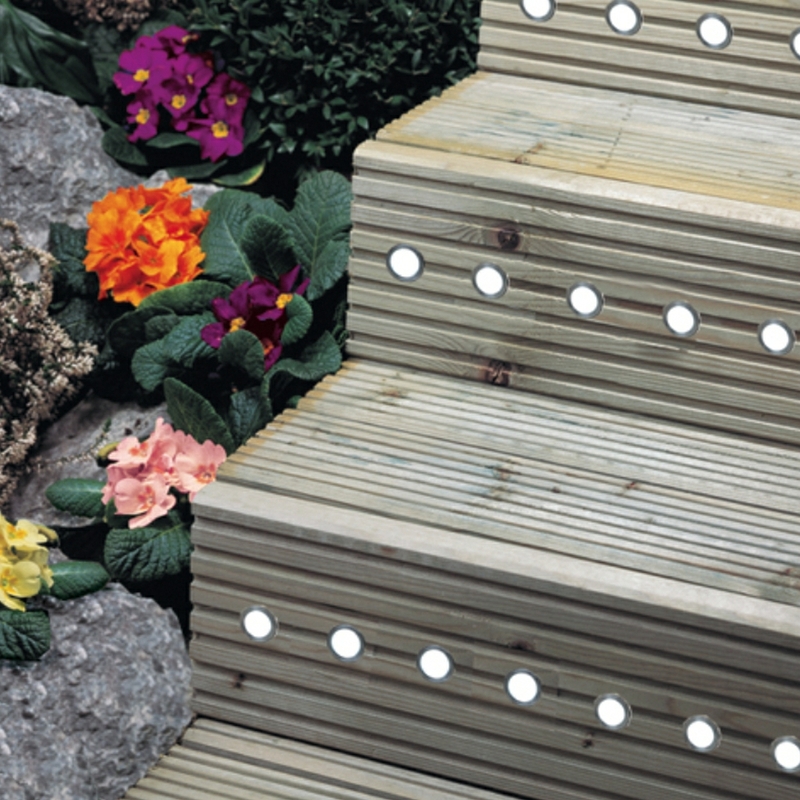 You can kit our your decking inexpensively with products such as the Round Head LED Decking Light Kit. Want to make that late night trip taking out the bins a little easier? Or perhaps you'd like to make your pathways more appealing and easier to navigate? Wall lights can be an excellent and inexpensive solution to your outdoor lighting need. Easy to install and come in multipacks (no installing them one by one) our range of outdoor wall lights come in many shapes and sizes to suit any taste. 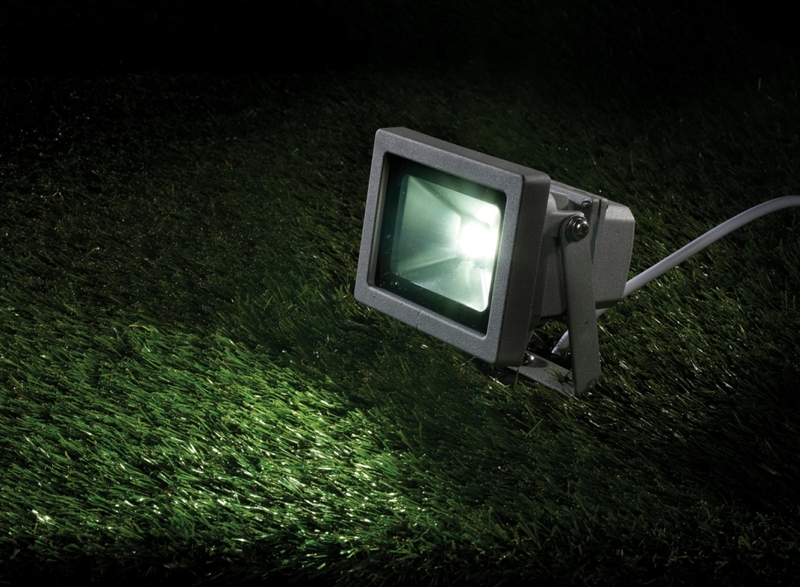 A great choice as a security light, for utility outdoors, and to illuminate an area in any weather, this particular choice of Flood Lights range is optimised to “flood” an area with light at the touch of a button. Unusually efficient and bright, a single flood light can effortlessly light up a large space, making them perfect for working at night or for use as security lights, where the volume of light is important. 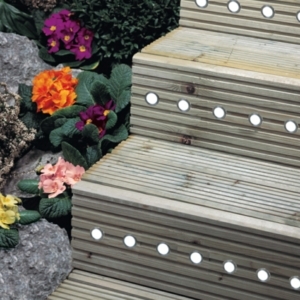 If you need outdoor LED lighting for any other reason, why not consider adding garden lights to the whole arrangement? They are perfect for feature lighting in a garden as they can be placed in any grass or soft ground that you like, making them endlessly versatile. Whether you’re highlighting a flowerbed, marking the edges of a lawn or guiding visitors down a garden path, these gorgeous, self-contained garden lights are the perfect product for the job.